Theatre history is not so much about establishing fact as it is about embracing uncertainty, a dialogue between competing and sometimes complementary narratives. That seemed to be the guiding principle of this stimulating and exhilarating conference, and one of the central arguments of Bill Ingram’s generous and provocative opening keynote. Indeed, the conference had clearly been designed with something like this idea in mind, bringing together scholars and practitioners from numerous branches of our discipline. The keynotes alone spanned archival research, practice-as-research, archaeology, and the study of literature at the borders of what might usually be considered “dramatic”. As a scholar of the modern-day performance of Shakespeare and his contemporaries, and a director of Shakespearean productions, most of my work is located very much in the “After Shakespeare” period that was jokingly taboo during this conference, so at times I felt like something of an interloper. Delegates enforced a semi-ironic, self-imposed ban on mentioning the name of the “dreaded S—”, and sometimes seemed nervous about their proleptic lapses into the 17th century and beyond. I’m not sure they needed to be. Part of what excited me about the conference was its implicit assertion that closer attention to the period of dramatic activity immediately before Shakespeare will challenge the narrative of subsequent English drama that too often begins with Shakespeare. I am not talking only about 16th-century drama; it might also change narratives about the development of the proscenium stage, for example, or the emergence of modern naturalism, or about the possibilities for the modern performance of classical drama at the Globe and the RSC and beyond. Must we accept narratives of this period that see its chronological changes as progression, as increasing sophistication, leading inexorably to the development of theatrical realism, a bright future in which the theatre could finally dispense with all that primitive theatricality and pretend it was really real? Though it did not factor into anyone’s presentations in an explicit way, I thought a lot about Robert Weimann’s theorisation of locus and platea over the conference. Weimann argues that early modern English drama inherited from its medieval progenitors a dialogic use of space: for Weimann, the locus of the medieval platform stage was associated with “a rudimentary element of verisimilitude” (75), a fictional there-and-then that marked itself out as separate from the here-and-now of the spectators; the platea was the liminal street-space in which the boundary between actors and audience was less pronounced, “a theatrical dimension of the real world” (76). Each part of the space roughly corresponded to “certain conventions of speech and movement” (83). Weimann suggests that Elizabethan drama inherited and developed these conventions, and subsequent critics have often associated these modes of performance with particular parts of the Elizabethan stage: a central position near the tiring house, for example, with the authoritative locus, and a position on the perimeter of a thrust stage with the subversive platea. Both Holger Syme and Heather Knight’s presentations on the implications of the unexpectedly rectangular, end-on space of the recently-excavated Curtain playhouse usefully challenged the equation of these modes of performance with particular parts of the playing space. We may have to rethink any assumptions that the self-presentation of the here-and-now of the performer is more suited to a thrust than an end-on stage. I’m also interested in the challenges posed by the drama of this period to what might be called a post-Brechtian understanding of theatre, in which metatheatricality and self-consciousness are seen as distancing devices that cut the cord of empathy between audience and stage, and encourage critical distance. Nandini Das challenged this assumption during her keynote, and I found myself nodding in agreement. This post-Brechtian understanding seems to me to misrepresent early modern drama, assuming that self-forgetful absorption in a stage fiction was the default spectatorial mode, an assumption that appears less secure when we consider plays dominated by direct audience address, or by highly patterned speech, or by fantastical excess, or by formalised, symmetrical groupings of characters; when we watch a performance (as we did during the workshop from Edward’s Boys on the Friday) open with a talented and enthusiastic boy player playing a reluctant boy player playing Will Somers reluctantly introducing a play about a personification of Summer. 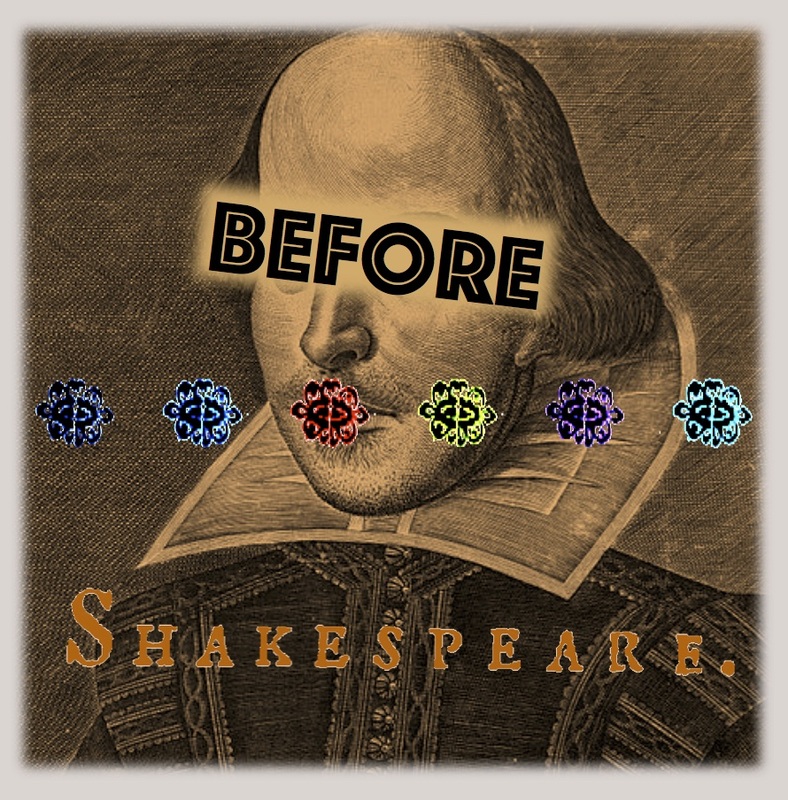 Theories of locus/platea interplay or of metatheatricality that use alienation as their baseline assumption might need to bend a little to accommodate the drama of the “before Shakespeare” period. HAMLET. My lord, you played once i’ th’ university, you say. POLONIUS. That I did, my lord, and was accounted a good actor. HAMLET. And what did you enact? This transition seems as much a loss to me as a gain. When did “actor” become the dominant term? Why? How? What are the implications for the modern theatre practitioner of considering acting as playing, performance as a species of game? So I think there were a lot of provocations in the material covered by this conference for those of us involved in current theatre practice. But the influence works both ways. It was wonderful to have actors and directors with practical experience of staging these plays such an integral part of the conversation at this conference. Emma Whipday’s keynote provided a rich example of what can be learned through practice-as-research, while the practical workshops from The Dolphin’s Back, Perry Mills and Edward’s Boys, the Royal Shakespeare Company and Emma Frankland’s company raised a number of useful questions. The first provoked reflections on what we mean by “dramatic” and “theatrical”. Are these terms synonymous? Is “performative” speech more theatrical (or more dramatic) than “declarative” speech? (Is this a false binary?) All four workshops employed thrust or in-the-round staging, an interesting decision in light of the revelations about the Curtain. Why did these four very different companies all gravitate towards a similar configuration of space? What does this do? Several of the workshops also explored liminal spaces – spaces that suspend or upset our habitual modes of engagement with a fictional world. Is this a coincidence, or does it suggest something more fundamental about the drama of this period and/or its performance today? I was struck by the number of times that Venus and/or Cupid made appearances at this conference (in The Dolphin’s Back’s pre-conference performance of The Woman in the Moon, in the RSC’s workshop on scenes from Sappho and Phao and Dido, Queen of Carthage, in Emma Frankland’s company’s performance of the climax to Galatea, and in the Read Not Dead performance of Sappho and Phao on the Sunday). These characters are often the instigators of the “game” of the scenes in which they appear, which made me think further about the dramaturgy of the plays of this period as a form of game-making. (Indeed, Venus repeatedly uses the word “game” to describe her actions when she and Cupid start to intervene in the plot of Cambyses, King of Persia.) We heard several actors talking, in semi-naturalistic terms, about the motivations of their characters, and this made me think back to the discussion of “performative speech” at the first workshop. Is speaking performatively – in other words, speaking in order to do something to somebody – quite the same thing as speaking as a psychologically-motivated character? There are overlaps, I think, but also some significant differences which might be explored more fully at future events. As all of this indicates, I left the conference with more many questions than answers. But one of the things that the conference convinced me of, above all else, is that this is most definitely a good thing. Bishop, Tom. “Shakespeare’s Theater Games.” Journal of Medieval and Early Modern Studies, vol. 40, no. 1, 2010, 65-88. Weimann, Robert. Shakespeare and the Popular Tradition in the Theater: Studies in the Social Dimension of Dramatic Form and Function. Translated by ???? . Johns Hopkins University Press, 1987.